Understanding the Value of Talent Management Happy Halloween from ERC! Don't miss our more current Fall 2014 Time Change Daylight Savings Poster (PDF)! 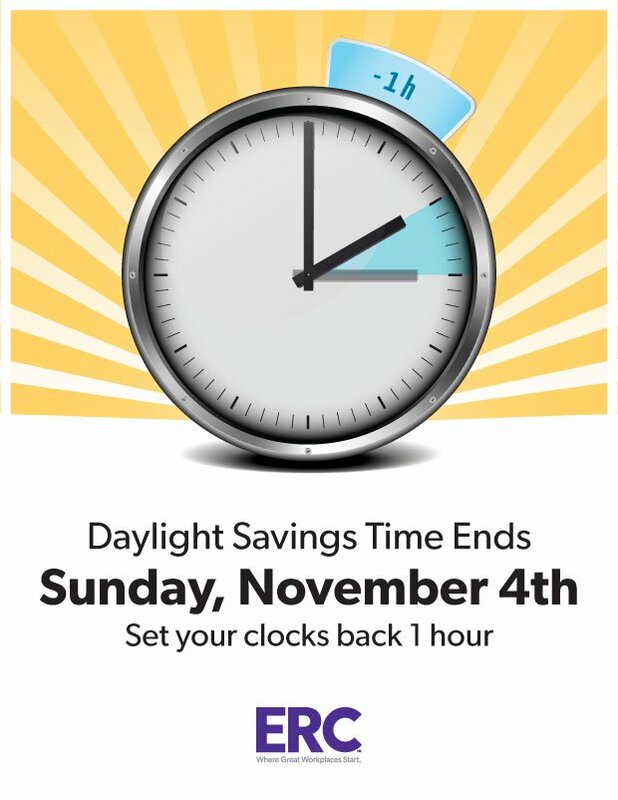 Download this handy Daylight Savings Time Change Poster to alert your staff of the impending time change on Sunday November 4, 2012.